We are so freakin' excited for 2018! All your favorite venues are back for 2018! We've got 6 races from late August to early December, welcoming two new clubs and one new venue. We have TWO! 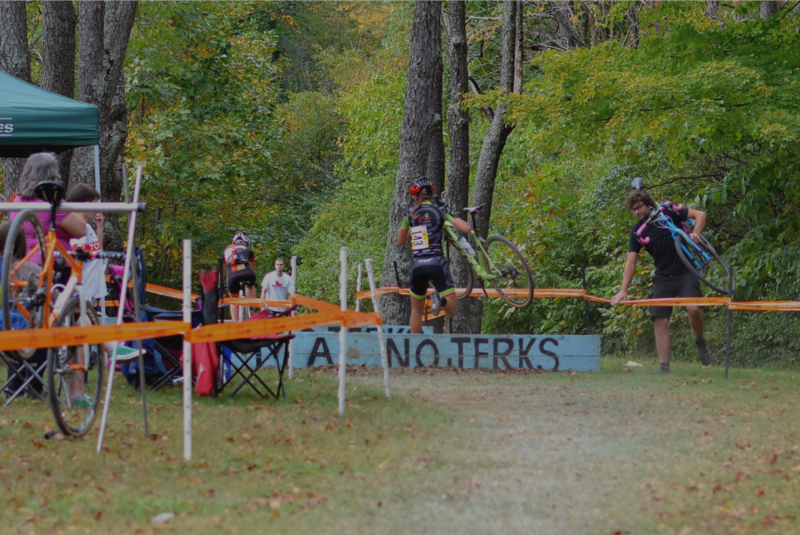 races with OVCX and one Columbus specific weekend! For 2018 we welcome the Lady Gnar Shredders, led by Marilyn Rayner, and the Eleonore Rocks Foundation, led by Ben Berry, to the series! LGS will be hosting a first year, early season event at Deer Creek State Park on August 26 and Eleonore Rocks Foundation are taking up the reigns at Cap City's most classic venue, Infirmary Mound CX on October 6. Following those we're back to Red Kite Coaching's *Red Kite Beach Party CX on October 13. followed by a little break. We're back on November 3 & 4 with the Cap City Collective weekend with races at Big Run and Smith Farm. We'll wrap up 2018 on December 1 at John Bryan with a one, final duel with our friends at OVCX. Our goal is to provide quality racing at quality venues throughout the greater central Ohio area. We work with local USA Cycling (USAC) sanctioned clubs to actively promote a healthy and competitive racing environment. With the help of clubs, sponsors and volunteers we aim to grow the series every year by being inclusive, competitive, positive, excited and loving. Constructive criticism and attention to detail is how we improve. We strive to offer courses that are both challenging and safe. In addition to quality bicycle races we are always looking for ways to get non-racers or riders to our events. Cycling is a beautiful sport and competitive cycling is equally as beautiful. We want everyone to enjoy it as much as we do. While it's true bicycle racing isn't for everyone we hope that racers and non-racers alike feel welcome back after their first experience! If your buddy falls, whether you racing or spectating, help him up! Positive Mental Attitude. Racing is hard. Winning is great. Having fun is even better. We've all been there; the post race blues due to a mechanical, fatigue or lack of fitness. While we 100% believe that racing is fun and competition is great, walking away with a positive experience is as much on the racer as it is the race director. No Jerks. Plain and simple. Physical and emotional aggression will not be tolerated. Let your racing do the talking. Support your friends. Cheer every rider that passes. Leave those nasty, snide remarks at home. Cap City Cyclocross, as a series and organization, has always and will always be all inclusive and welcoming of all types of racers. We aim to offer competitive fields and challenging course for all ages and abilities.